Stick Heights & Dynamics Exercise! After years of playing drums I find myself behind the practice pad more often than usual. I have found a new love for the technical aspect of drumming and I’m now re-learning things that didn’t quite stick before that’s not only helping improve my playing, but helping me understand the building blocks of drumming. With that being said, lets take a look at these two exercises that I have created using two very important basics, Stick Heights & Dynamics! 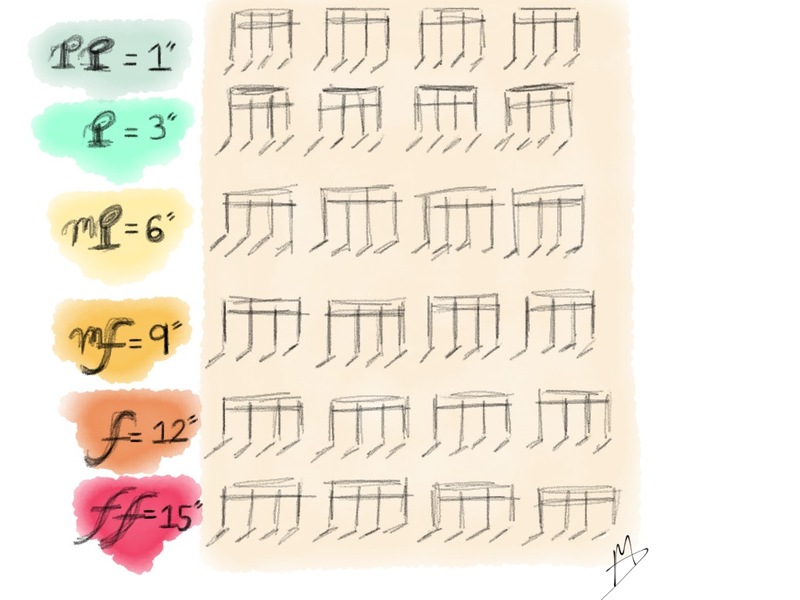 This exercise is a color chart of heights in inches that will give you an idea of your dynamic based on the height of the stick before striking the drum. It makes it a little easier to remember the dynamic by memorizing the height and color. Play each height/dynamic using sixteenths in front of a mirror to be able to keep both hands equal to each other. Now that we have memorized our heights/dynamics it’s time to incorporate these in an ascending manner from softest to loudest. 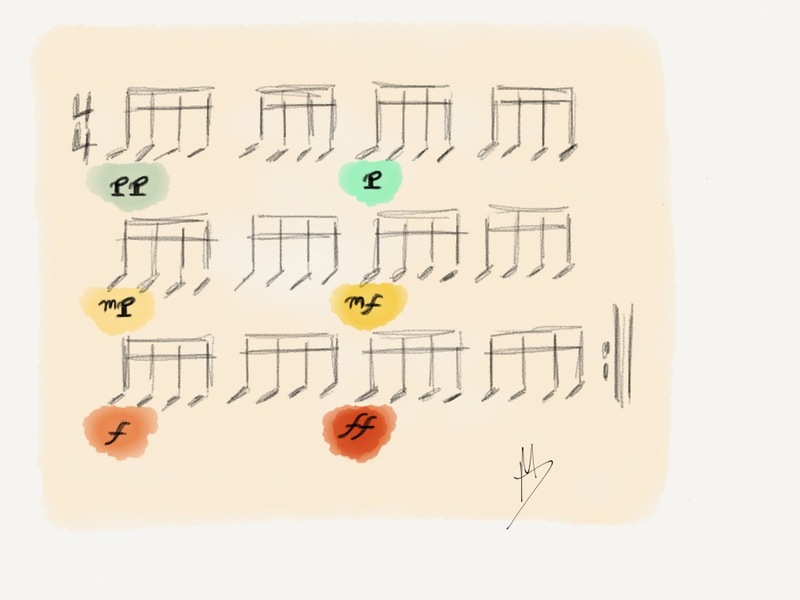 Play this exercise slowly at first paying close attention to each height/dynamic. The shift is quick so be careful and be very specific. Once you feel comfortable speed it up and have fun!